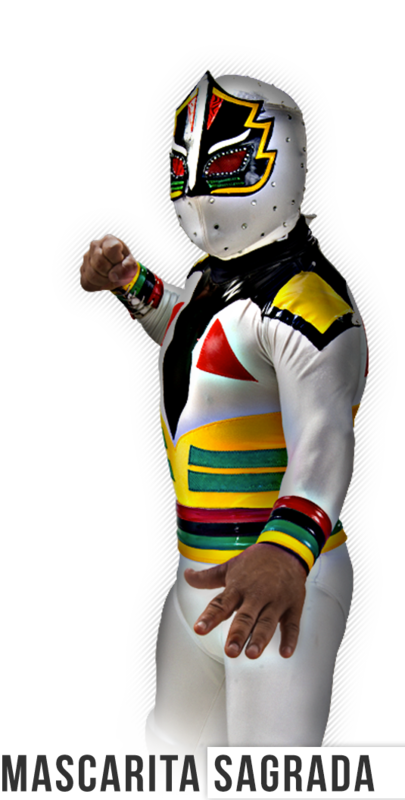 Also known as “El Pequeño Tigre Blanco” (Spanish for Little White Tiger), he is considered a favorite among the rest of the so called “mini-luchadores”. He is a luchador beloved and admired by both kids and adults, and his character one of the most closely related to the history and tradition of the Mexican Lucha Libre, and the AAA Worldwide Company as well. 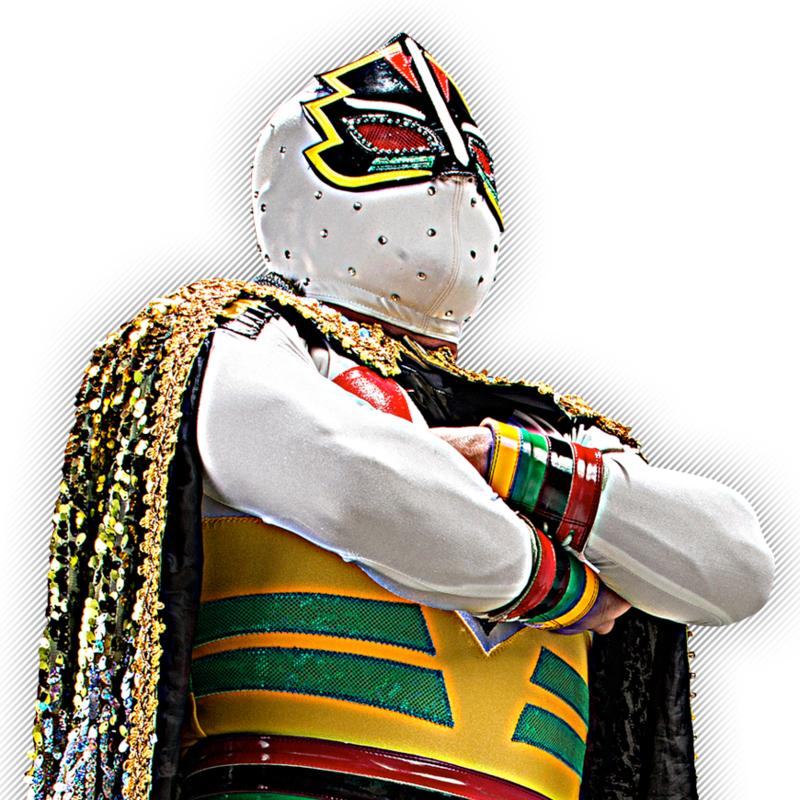 Mascarita Sagrada continues to be a beacon within the company that founded Lic. Antonio Peña, who also created the character, and whose light shines in every ring he sets a foot into, due mainly to his spectacular and elegant wrestling style.